Bunzel’s fresh pork is such high quality that people purchase it for cooking competitions, but no worries— everyday folks love it, too. From delicious varieties of spare ribs to amazing pork chops to our melt in your mouth pork tenderloin and roasts, expect to be impressed. Let’s not forget about the ham. 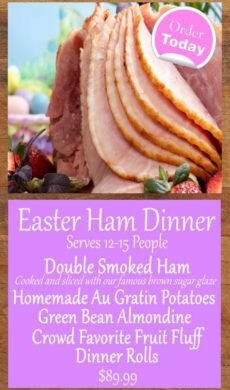 Whether you’re preparing for a family gathering, holiday meal or a home cooked Sunday spread… Who doesn’t enjoy a juicy, flavorful and smoky ham? 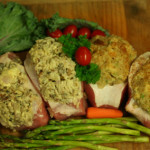 If you’re interested in special seasonings or specialty stuffings, just let us know. We always enjoy whipping up new recipes that could become the next Bunzel’s customer favorite! 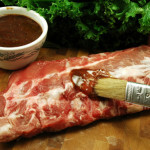 A brisket rib, spare ribs are tender, moist, great for slow cooking or grilling, and/or made with bbq sauce or sauerkraut. We skin these as well. Cut from the loin of pork, Bunzel’s hand cut Baby-Back ribs are Meaty, Lean and large enough to serve 2 to 3 people per rack. And yes, the back skin membrane is removed. 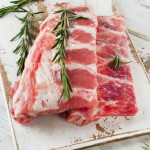 Cut from the rib-end of the pork loin, Country ribs are meaty, lean and great grilled or slow cooked. 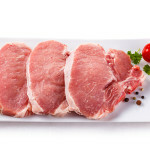 A Porterhouse Pork Chop cut to a 1 and ½”, the name says it all. Sear both sides for 2 minutes and finish by standing the chop up on the bone. 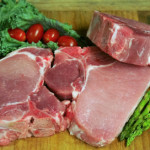 Center-cut Chops from the loin of pork. Bunzel’s butterfly’s our chops. 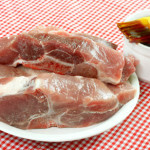 We also cut thin chops and the “American-Cut” 1 and ½” boneless grilling chop. Just like mom used to make. Grill, Pan Fry, Broil or Bake. We cut our chops to ¾ of an inch. 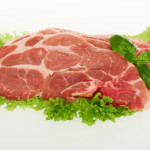 Ask your Butcher if you would like your chops cut thinner. Bunzel’s offers a lot of different stuffing’s in our All Natural chops; traditional sage and onion bread stuffing, Wild rice with butter, cheese, onion, mushroom and Bacon. Florentine stuffing and broccoli and cheddar. Look for our cornbread/cranberry stuffing during the fall and winter months. 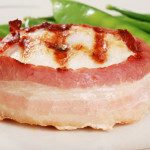 A boneless rib eye end of pork wrapped with Bacon. Tenderloin of pork typically a pound or so. 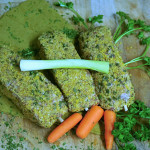 One pork tenderloin is usually enough for two adults. 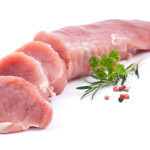 Center-cut boneless pork loin. May be roasted or grilled. A pork shoulder cut into ¾” steak. Great grilled or broiled. Ok not chicken. Lean ground pork seasoned with Bunzel’s Mock chicken leg seasoning and breaded with corn flake crumbs. Yummy. 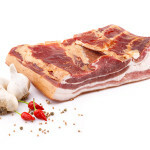 Bacon sliced just a bit thicker then you find elsewhere, very smoky and satisfying. 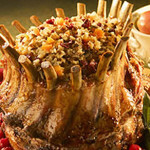 If Prime Rib is king of the holiday table then the Pork Crown Roast is the undisputed Queen! 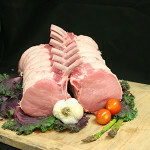 An All Natural center bone-in Pork Loin Frenched and tied to form a circular roast. 14 to 28 bones form “The Crown”. Chop holders may be used to dress up the roast as it sits in the center of your dining table. One chop per adult or 2 full chops for the heartier appetite. The center cut prime rib of pork. The bones are frenched for presentation. The heart of the pork loin. An incredible treat for that special occasion but why wait? Have one tonight. 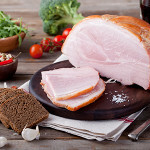 Bunzel’s double smoked whole or half boneless hams are great for sandwiches, holiday gatherings or a nice Sunday dinner. 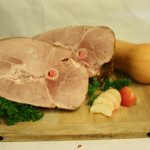 The boneless hams generally run about 9 to 10 lbs each and we can custom cut a certain size for you. 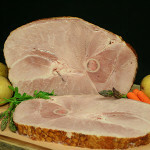 This is easily our popular ham for the holidays or any gathering looking for a treat. Hickory double smoked to perfection. Available in 1/2 or whole sizes or cut to your specification. A slice from the heart of our hickory double smoked bone-in ham. Perfect for a quick meal anytime.